Recent trends indicate that cyberattackers are increasingly targeting small, startup businesses as larger companies have ramped up IT defenses in recent years. According to a report by cybersecurity firm, Symantec, “cyberattacks on small businesses with fewer than 250 employees represented 31% of all attacks in 2012, up from 18% in the prior year” (Link 1). As soon as a business sets up its website and email domain, cyberattacks are triggered almost immediately. In fact, by the time a business is five months old, it has already been targeted by hundreds of spam phishing messages and Malware attacks and, within ten months, most companies will have been infected with Malware. (Link 2). Hackers will also use attacks known as Ransomware, where an attackers locks up company computers and networks demanding a ransom to stop the attacks. Computers are not the only targets of these attacks, however. With the proliferation of smart phones and mobile devices in the business world, many attackers are now using malicious software to infiltrate these mobile devices in order to steal valuable information. Verizon’s RISK team has indicated that this trend of increasing attacks on small startup companies has been relatively consistent over the past six years (Link 1). Larger corporations have the time and resources to devote to IT security that small businesses and startups just don’t have. Startup businesses in particular have enough concerns related to gaining market share and generally keeping their doors open and generally can’t devote enough resources to IT security. Further, despite the statistics, many small business owners falsely believe they are boring targets for cyberattackers due to their size. However, small businesses can be extremely lucrative and easy targets for these types of attacks. Most often, cyberattackers are after customer credit card numbers, contact information, intellectual property, or money from company bank accounts that are specific to the individual target company (Link 2). However, many hackers target small firms with a much bigger prize in mind. Increasingly frustrated with the beefed up security at larger firms, cyberattackers are using smaller firms as an entry point as they are often customers or suppliers of larger firms. Once a smaller firm is infected, it can spread viruses and other malicious software to a larger firm by way of emails and other exchanges throughout the course of normal business operations. Another way attackers are attempting to use smaller companies as bait is through the strategy of infecting startup companies in growth industries like tech and healthcare. The attackers then lie and wait hoping these infected companies will be gobbled up through mergers and acquisitions, which have been increasing as of late with the improving economy and availability of cheap debt. The attackers are essentially using the acquired company as a sort of trojan horse strategy to then infect the acquiring company and steal its valuable information. Whatever specific tactic is used, startup companies have been increasingly targeted by cyberattacks as of late. In terms of time and resources, these new companies are stretched thin enough as it is. In-house IT departments are very expensive as is externally sourced internet security software sufficient enough to fortify these companies against sophisticated attacks. In light of this, what is a small business owner to do? Can they take steps to not be infected without professional help? Or is IT security spending now just an operational cost of doing business that can’t be avoided? Can the Cruise Industry Stay Afloat? It’s been a nightmare at sea for this seasons start to the 2013 Cruise Season. From passengers going overboard, crew members dying and of course the horrific Carnival cruise ship that suffered a mass power outage that left over 4200 passengers stranded in the Mexican Gulf, the industry has been hit with new challenges. Although, Carnival Cruise line has been getting the blunt of the bad media coverage for several equipment failures, the whole industry of cruise ships still have been affected. The Cruise Industry is now facing challenges of attracting new passengers due to recent events coupled with the old challenge of increasing operational costs and competition. With high fuel costs, expensive airfare, and a rougher economy, almost every cruise line has been forced to cut costs while still trying to attract consumers. The Carnival Cruise ships have been proof that cutting costs in procedures, maintenance and quality crew members in order to provide over the top amenities and attractive destinations at reasonable costs to passengers have major consequences. The challenge is not just picking attractive destinations and providing better service and perks then the next cruise ship. All cruise lines have been optimistic in light of the horrific at-sea events, through the release of big upgrades, innovations and reengineered cruise ships in attempt to save the industry and their images. Cruise lines are taking on the challenge by restructuring ships to be the destination. An editor of cruisecritic.com , Caroyln Spencer Brown believes that “When you start focusing on shiny new ships with funky, fun, new amenities and features, the market comes back.” Or at least that is their hope. 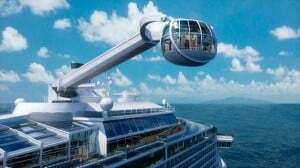 The Royal Caribbean will release more thrill seeking attractions like bumper cars and simulated skydiving, while the Disney Cruise line will be redesigning their old ship to mimic the Marvel Comic Superhero theme. Several other major attractions like water parks, state of the art dining , world class exercise classes are all features that are changing the cruise line industry; it’s no longer just about the port destinations, its the ship itself that delivers the true experience. While other cruise lines are adding over-the-top products and services to their ships, Carnival Cruise is sticking to product improvement. 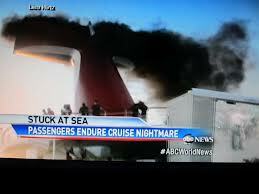 They have cancelled several cruises and spent over $300 million on safety upgrades and emergency generators to enhance their dependability and prevent anymore-technical nightmares. 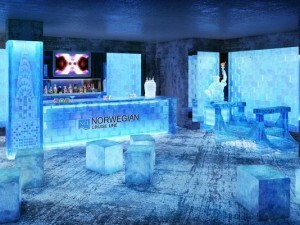 Although, the thrill of walking on a plank, ice bars, eccentric food from Food Network Chefs, themes and celebrity shows sound enticing…I think there is a point where safety should not be forfeited. Also, is it really right for Cruise Lines to believe the ship “experience” outshines the actual destinations? Would you pick a cruise based on it’s innovative amenities or on the basis of the trips destinations? What dimension of quality do you think is most important for Cruise Lines to focus on? Aesthetics? Service? Reliability etc..?